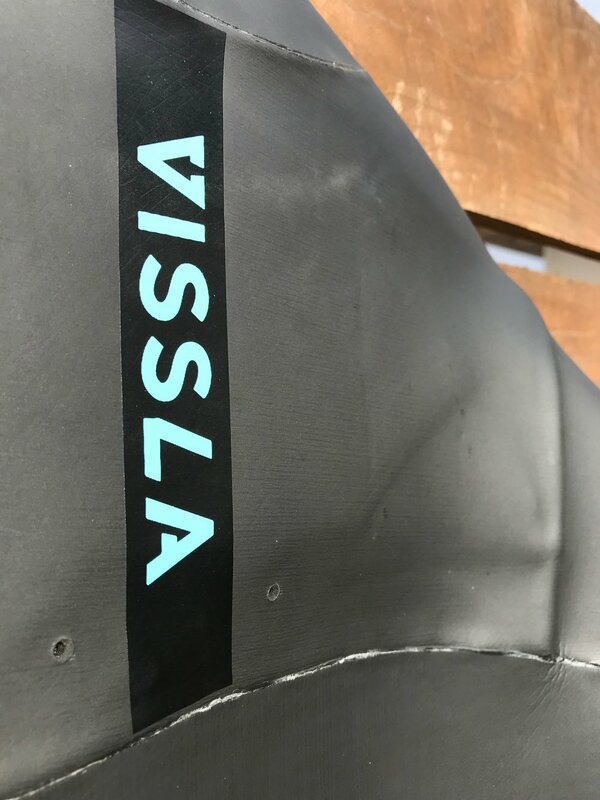 Vissla is fairly new to the wetsuit game but whoever was behind this suit is not. A smart blend of luxury and value. From the liquid weld seams to ultra minimal key pocket, this suit is smart. The loud Vissla teal cuffs, tapered smoothy on the inner lining give flash but not flush while you paddle. Overall this suit fit fine. A traditional one arm closed bib style full suit. The Cris X Panels, or the swallowtail style opening, is the first new pattern iteration to the one arm entry in years. Makes it easy to get in and out of without causing wear and tear from changing. The only pattern quirk was the seam in the bottom of the hamstring, which feels restricting. 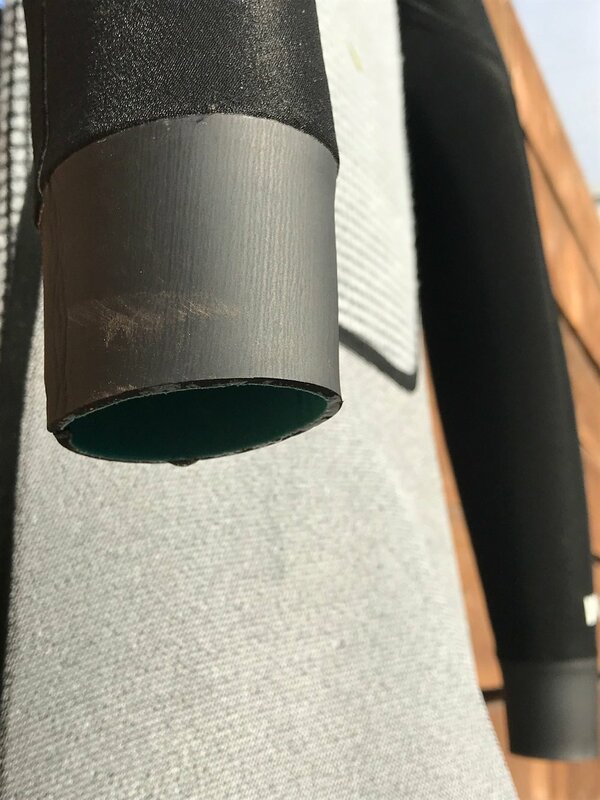 It seems that cutting the pattern this way affords them more neoprene per yard, bringing the cost of the suit down for everyone. Supratex - Knee pad material is super luxurious. Meaning they are tough and sustainable but comfortable and plush. Durable yet Flexible. While this suit is A1 we can't help but wish it had a little bit of this material as a bottom cuff for durability and flushing. The front foot leg tends to roll up past the ankle with any kind of flush. As a daily driver, we would recommend the ALL neoprene version for its added durability. The Smoothy version allows you to take your 3/2 further into sessions with wind that would otherwise demand a 4/3. On the other hand the smoothy material runs the risk of being torn by fingernails or pavement. (Editor's note: the suit did rip below the neck on the back. Causation unknown; probably caught on something while changing.) The 5/4/3 hooded for the Northern Coast surfers as it features a blended pattern of thickness for all conditions northern surfing. This suit even follows a Bluesign system which means it starts with a sustainable textile development process. All the more proving this suit is a killer value with all the bells and whistles of a Patagonia for a C note less.